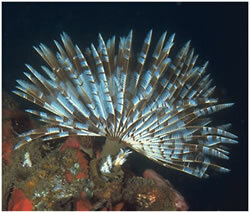 The European fan worm (Sabella spallanzanii) is one of the largest species in the family Sabellidae. It is a filter-feeding tube worm which has the potential to alter native marine ecosystems and compete with native organisms for food and space. The species also has the potential to influence aquaculture operations, both as a nuisance fouler and as a competitor to cultured filter-feeding species such as oysters and mussels. In Australia, the European fan worm was first discovered in Western Australia in 1965, and has since been recorded in Victoria, South Australia Tasmania and NSW. In NSW it was first discovered in Snug Cove (Twofold Bay) in November 1996. Since then, monitoring by NSW Department of Primary Industries (DPI) has documented fluctuations in the size of the population over many years, with the number of fan worms in 2013 being similar to that in 2005. These native species may be confused with this marine pest. The European fan worm is native to Mediterranean and eastern Atlantic Coast European countries including Spain, Portugal, Italy, France, Turkey and South America. It is commonly found in its native region in shallow subtidal areas and shows a clear preference for sheltered nutrient rich waters. 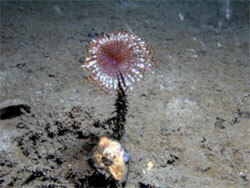 The European fan worm is a large tube dwelling annelid worm with a crown of feeding tentacles formed in two layers. One layer of tentacles is distinctly spiralled. The feeding tentacles can vary in colour from a uniform dull white to brightly banded with stripes of orange, purple and white. Adult worms usually range in size from 90-400 mm, with the feeding crown accounting for roughly 45-60 mm of this length. Worms found in deeper water are generally larger. The tube of the worm is made of semi-hardened mucus, which is secreted by the worm as it grows. It is often covered by many small organisms and becomes wrinkled towards the base (NIMPIS 2010). The European fan worm can be found in temperatures ranging from 2oC to 29oC and individual speciments are thought to live for at least two years. 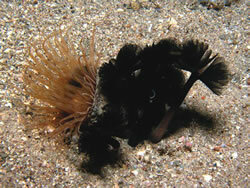 European fan worms are protandric hermaphrodites, starting off as males, and changing to females when they grow larger. Gametes are broadcast into the water column to be fertilised. Large females (greater than 300mm in length) can release more than 50,000 eggs. In Australia, spawning occurs during the winter months, coinciding with falling water temperatures. Sexual maturity of the invasive European fan worm in Australia is obtained at 50 mm. In Italy (its native region), it is not until the worms are 150 mm long that they are sexually mature. The growth rate of the European fan worm in Australia has been recorded as approximately 15 mm per month during summer in Port Phillip Bay (NIMPIS 2010). The European fan worm was first reported in NSW at Snug Cove, Twofold Bay near Eden in November 1996 by the CSIRO. Since this initial discovery, routine surveys have been undertaken by the NSW government in Snug Cove to monitor changes in abundance. In April 2013, NSW DPI received a report, from the Australian Museum, of observations of suspected Sabella spallanzanii in Botany Bay. Australian Museum expertise subsequently confirmed the suspect species to be Sabella spallanzanii. At this time, the Australian Museum collected eight specimens of European fan worm from the area of Inscription Point at Kurnell along the south-eastern shores of Botany Bay (Murray 2013). Follow up surveys undertaken by the Australian Museum did not detect any further specimens. In response to this discovery, NSW DPI developed a strategic sampling program to determine the European fan worm’s distribution and abundance in Botany Bay. Areas targeted included those where surface current modelling indicated that larvae were most likely to accumulate after 10 or 30 days, assuming a release point of either Kurnell (where detected in April), or Port Botany (the primary mooring points for commercial ships in Botany Bay). 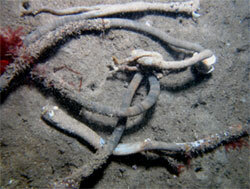 NSW DPI surveys, conducted during July and August 2013, did not detect any European fan worms. While NSW DPI surveys were unable to detect further populations of Sabella, the Australian Museum has confirmed through diver surveys during 2014 that specimens of this marine pests species were once again detected at the original location (and subsequently removed by divers). European fan worms. Photo by Tim Glasby. It is not known exactly how the European fan worm was introduced into Twofold Bay or Botany Bay, NSW. There are many vectors that may have been responsible for its translocation, including international shipping or domestic commercial or recreational vessel movements. Marine pests can be translocated as larvae in the ballast water of ships. However, as the larvae of this species are short lived they would not have been capable of surviving long periods of transport in ballast water. It is possible that translocation occurred as a result of the species attaching itself to the hulls of vessels as ‘biofouling’. Another possible vector could include the accidental translocation of species attached to aquaculture gear (ropes, cages, etc). While the actual vector may never be known, a NSW DPI marine pest risk assessment (Glasby & Lobb 2008) ranked the European fan worm as the second most likely new species to be introduced into Botany Bay from a domestic port, with the Port of Melbourne being the most likely source. NSW DPI undertake surveys in Twofold Bay to monitor the European fan worm populations. 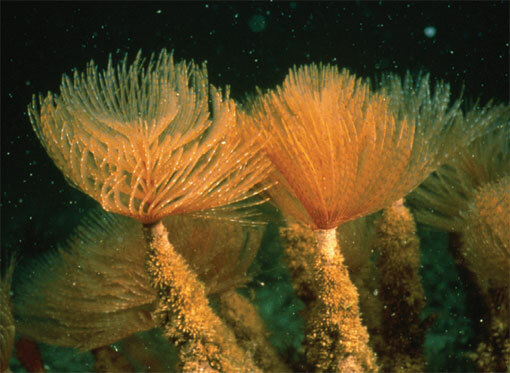 Since they were first discovered in 1996, European fan worms have been found in two areas of Twofold Bay, Snug Cove and Quarantine Bay; with documented fluctuations in the size of the population over many years, with the number of fan worms in 2013 being similar to that in 2005. During early surveys, NSW DPI removed individual European fan worms. However, no formal eradication or control program is being implemented. 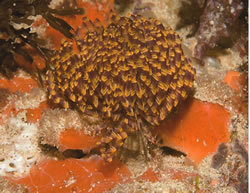 NSW DPI surveys did not detect any European fan worms in Botany Bay during surveys that included 10 hours of underwater searching (both diver and video) in the most likely areas that this species would inhabit. NSW DPI will maintain ad hoc surveys for populations of this species whilst undertaking scheduled activities in Botany Bay. NSW DPI has dedicated disease and pest reporting hotlines to enable observations of concern to be reported e.g. 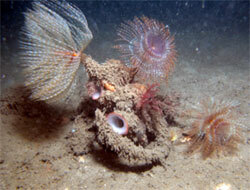 observations of European fan worms or other marine pest species. Any further reported observations or confirmed detections of this species will be investigated and recorded appropriately. NSW DPI has developed marine pest education materials, including Identification Cards, Marine Pest Poster, Magnets and advisory booklets – that have been widely distributed to the key stakeholders including slipway operators, Port Corporations, Commercial Fishers, recreational fishing groups, and boat ramps (including at Penrhyn Estuary near Port Botany). These materials provide reporting details (NSW DPI hotlines) and seek feedback from those industries and individuals that are most likely to see any new populations of marine pests, including the European fan worm, during their day to day business. There has been little work done on the possible impacts of the European fan worm on marine systems, but it has the potential to compete with native filter-feeding organisms for food and space, and in high densities has the potential to have a negative effect on commercially important species (mussels and oysters). In other states, European fan worms have been observed to grow on mussel ropes, but are not considered by farmers as a significant nuisance. The European fan worm was first detected in New Zealand, in Lytellton Port in March 2008, after which a control program was implemented to attempt its eradication. In August 2009 a small population was found in Auckland's Viaduct Basin, and this additional location was also incorporated into the eradication program. However when widespread populations of European fan worms were found in January 2010 in multiple locations in Waitemata Harbour, the eradication program was stood down as it was determined that eradication of this pest from New Zealand was no longer feasible. This demonstrates the difficulty of eradicating marine pests once they are established, and therefore prevention of these pests in critical to protecting the natural environment. Information on the European fan worm and its attempted eradication in New Zealand can be found at www.biosecurity.govt.nz/pests/mediterranean-fanworm. If you think you have found European fan worms in a new location, take a photo and report it immediately! Remain vigilant and report any animal or plant you think is unusual and may be a pest! If you believe you have found a pest - collect a sample, note its location (take GPS points if possible), take a photo and immediately phone the I&I NSW aquatic pests 24 hour recorded hotline on 4916 3877 or email aquatic.pests@industry.nsw.gov.au. I&I NSW will provide advice regarding the most suitable preservation method – which may change depending upon the type of animal! Wash your boat and gear down in wash down bays (where provided) or in an area away from water bodies and stormwater drains. For more information on how to clean your boat to prevent the spread of aquatic pests download the booklet for recreational boaters (1.2 mb, ). If you have visited an area known to be infested with an aquatic pest, inspect anchors, ropes and chains before leaving the area and dispose of any unusual plants or animals in a sealed container in a bin. Keep your vessel hull clean and free of fouling, don’t let pests hitch-hike to a new location. Maintain antifouling treatments to your vessel hull, if appropriate. Do not conduct any hull-scraping in the water. Use a dry dock or other facility where the fouling material can be collected and disposed of properly.